Learn practical talent attraction & employer branding strategies from the best. 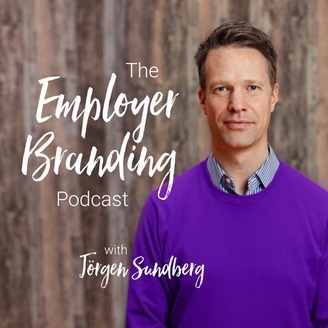 The Employer Branding Podcast is hosted out of London by Jörgen Sundberg, CEO Link Humans. 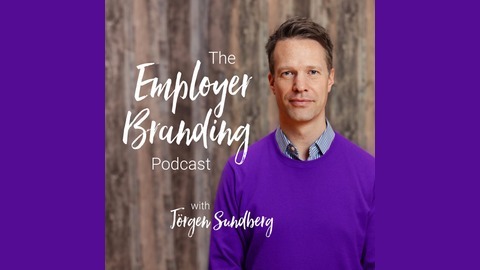 In this show, international employer brand leaders, rebels, and innovators share their favorite tactics and strategies. From challenger brands with momentum – to leading companies such as GE, Unilever, Walmart, L'Oréal, Salesforce and, Microsoft. Episodes are around 20 minutes long and in an easy to follow Q&A format. They also appear remixed as articles on the Link Humans blog and Undercover Recruiter — a popular resource on modern recruiting. Subscribe ==> https://employerbrandingpodcast.com Contact: jorgen@linkhumans.com. The public eye has recently cast a spotlight on company culture, leaving several companies wondering: how do you strike a balance between building a healthy culture that keeps employees happy and making sure that the company can continue to strive for its business goals? Course Hero is one company who is doing just that - navigating the way to a better culture and business success through a People team – a team dedicated to helping employees get the most out of the company by giving it nothing but their best effort. Sue Olson leads the People Operations and Talent Acquisition teams at Course Hero. She specializes in building high-performance teams in high-growth organizations, with an emphasis on corporate culture and engagement. She likes to focus on volunteering, mentorship (especially of professional women), diversity, and inclusion. Course Hero Careers: https://www.coursehero.com/jobs/ Sue on LinkedIn: https://www.linkedin.com/in/sueolson1/ Subscribe to this podcast: https://employerbrandingpodcast.com The Employer Brand Index: https://employerbrandindex.co Thank you for tuning in!